The Manor ISD Board of Trustees approved the hire of John Matthews to be the new principal for the Manor Senior High School at their regularly-scheduled meeting in January. Mr. Matthews has 17 years of administrative experience. Most recently Mr. Matthews served in Dallas ISD, where he has been the Assistant Principal at Moises E. Molina High School, Acting Principal at James Madison High School, and Assistant Principal at Carter High School. 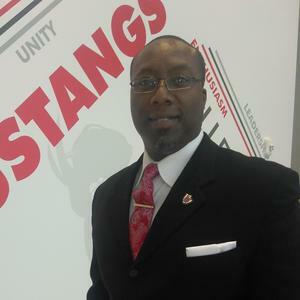 He has also served in administrative roles at Lancaster ISD, Duncanville ISD, and Texas College, among others. Mr. Matthews received his Bachelor of Science in Elementary Education from Jarvis Christian College and his Master of Education Administration at Stephen F. Austin University. He will start in his new role in February, where he will take over for interim Principal Nanette Deaton, who will go back to her role as Director of Counseling full time.